Finally after so many leaks Samsung launched their new flagship smartphones Galaxy S8 and S8+. This year Samsung went different design for the these two models which removed almost every thing from the front of the display. 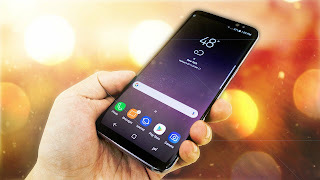 This help Samsung to go with an almost bezel less look which Samsung told infinity display, means increase screen size and keep the phone physical size close to last year Galaxy S7. There are not actually a major differences in between S8 and S8+ the main difference is the screen size and the battery. The bigger difference in Galaxy S8 and S8+ is the physical screen size. The S8 has a 5.8-inch display while the S8+ has a 6.2-inch screen. Both have a same resolution 2960X1440 pixels but S8 will have 570 ppi and S8+ will have 529 ppi. 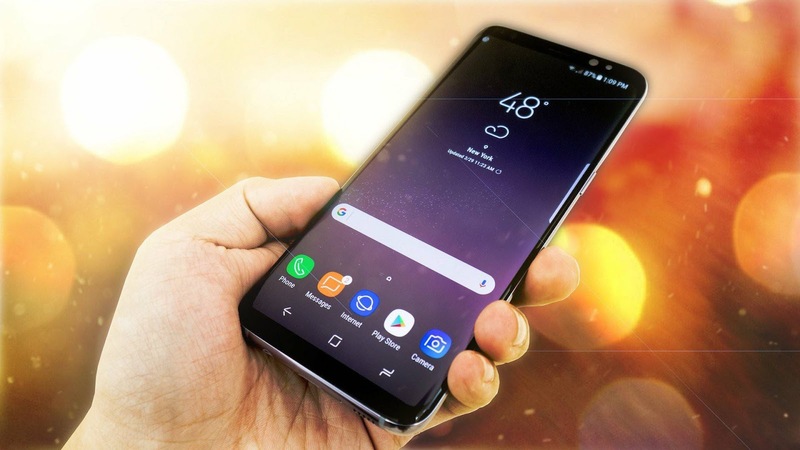 Both new Galaxy S8 and S8+ both powered by new Octa-core Qualcomm Snapdragon 835 (2.35GHz + 1.9GHz) or Octa-core Samsung Exynos 8895 (2.35GHz + 1.7GHz), With 4GB RAM and 64GB storage which is expandable up to 2TB via microSD card slot. Both smartphones has camera 12MP on the back and 8MP on the front with 4K video capture support. Also there is differ in battery size like S8 has a 3000mAh battery and S8+ has a 3500mAh battery. The Galaxy S8 and S8+ both has Dex dock which turn the phone into a portable workstation. Its like plug in and play device for S8 and S8+ which allow user to connect a keyboard, mouse and HDMI display to their devices. The phone then become a desktop PC which running Android apps in windows. All Android apps compatible with Android Nougat multi-window API works with it. The Galaxy S8 has the first device with Bluetooth 5.0 support. Bluetooth 5.0 has some major features like it has better range, improved speeds, and wider device support. One of the features it also includes is support for streaming to two audio devices at once. It’s very proud to say that the Samsung Galaxy S8 is one of the first capable of achieving “gigabit-class” speeds. T-Mobile shows the speed test where the S8 peaks with speeds as high as 950mbps.It is great to see, though, that the phone is capable of such high speeds. Samsung’s introduce new launcher on the Galaxy S8 family is like a really new version of Google’s Pixel launcher. It’s clean, easy to use, and it’s a smart way to hide the app drawer from plain sight. Biggest concern surrounding the Galaxy S8 and S8+ is battery life. Both phones pack battery sizes at 3,000 mAh and 3,500 mAh respectively, but that’s on phones with 5.8-inch and 6.2-inch displays. Traditionally, phones with displays that large have much bigger batteries. According estimates battery life won’t be much different from the Galaxy S7 and S7 Edge.